If you were planning on buying a new Mac, now's the time: Apple has just refreshed its iMac and MacBook lines. The latest Macs are faster and, soon, they'll run macOS High Sierra, which is packed with great new features. The biggest upgrade went to Apple's iMac line, all of which will get a performance boost with Intel's 7th generation Kady Lake processors as well as increased memory capacity (though boosting your system's memory will cost you). High-end 21.5" models and all 27" models now come with Fusion Drive standard, which allows you to have a high-capacity drive (up to 3TB) that's as fast as the smaller SSDs that come with the low end iMacs. Two Thunderbolt 3 ports for super fast data transfer are also standard — and you won't even need any of Apple's infamous dongles because unlike the MacBook line, iMacs still have USB ports. As is the norm for the iMac line, the displays really stand out. Now they're 43% brighter and can now produce up to a billion different colors, which you're sure to notice. But if the baseline screens aren't good enough, you can now upgrade to a 4K Retina display on the 21.5" iMac and a 5K Retina display on the 27" iMac. To power these screens, the whole iMac line is getting more powerful graphics cards, with up to three times the speed of the previous generation. VR support is finally coming to the iMac, too. 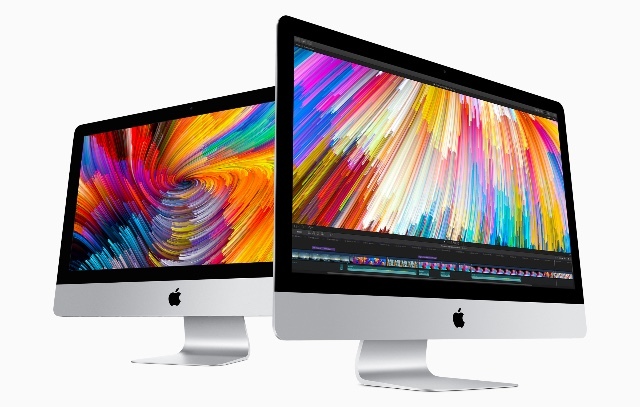 The latest iMacs start at $1,099 for the 21.5" models and$1,799 for the 27" models. They're shipping now. Even though the MacBook Pro line got an update late last year, now they’ve gotten another one — and both standard MacBooks and the much-neglected MacBook Airs are getting a little love, too. All of the MacBooks will have speedier Kady Lake processors, faster SSDs, and the 15" Pro has a better graphics card. The MacBook Air only has a minor speed boost — and we think it's worth spending a little more to get a MacBook or MacBook Pro. While there's no major overhaul happening, all of these make for solid speed upgrades unless you bought a new MacBook Pro last year. 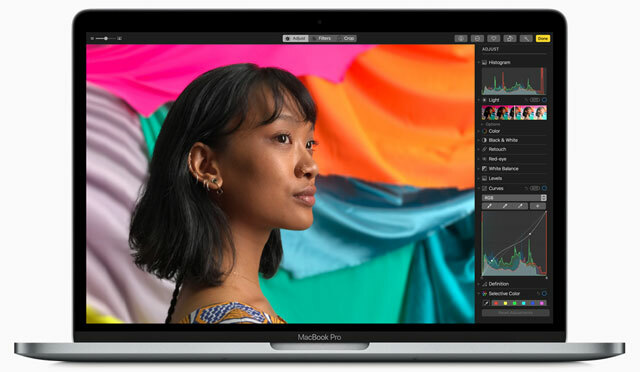 The latest MacBook starts at $1,299 and the new MacBook Pro also starts at $1,299. Some of Apple's other staple apps are also seeing improvements. Mail will use less disk space and offer split-screen viewing for easier composing. Photos has as a ton of new editing tools, which, for most of us, mean it can be our only photo editing app — even though it will also be able to sync your edits with Photoshop and Pixelmator for power users. But if you aren't interested in high-end photo editing, there are also some cool tools for editing your Live Photos: you can now turn them into animated loops. It's not exactly an animated GIF, but it's still pretty cool. And just like on iOS, Siri will be getting smarter, too, with a more natural voice and the ability to respond to more of your questions. There are a lot of under the hood updates that the average user will never see, but will bring more speed improvements, even to older Macs. A brand new file system (AFS or Apple File System) will be standard with High Sierra. It offers faster performance and better security with crash protection and built-in encryption. A new Metal API will offer 10x improvement in throughput, speeding up games and other graphics-intensive tasks across the board — as well as helping to power VR on the new iMacs. Even if you never notice these features first-hand, you should notice your Mac running at least a bit faster with High Sierra. 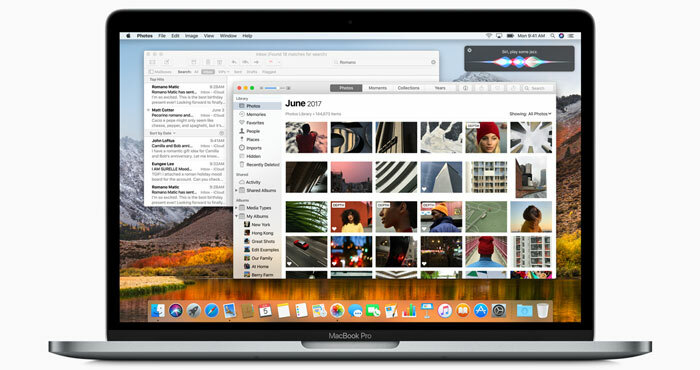 The latest version of macOS is already available to developers, but the rest of us will get it for free this fall.